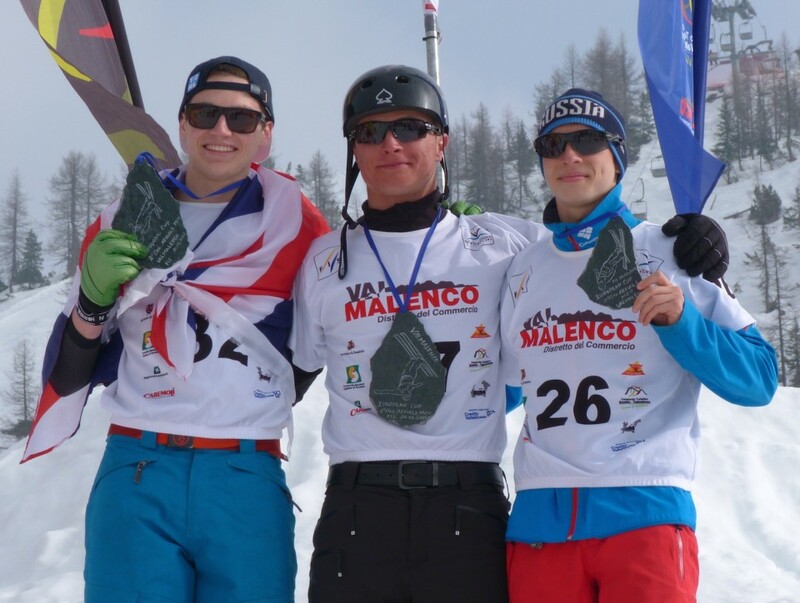 There was more magnificent jumping from the British Team at the final two Europa Cups of the season in Valmalenco, Italy. Lloyd Wallace hit the podium again on Friday, nailing two triple twisting double flips to take silver. 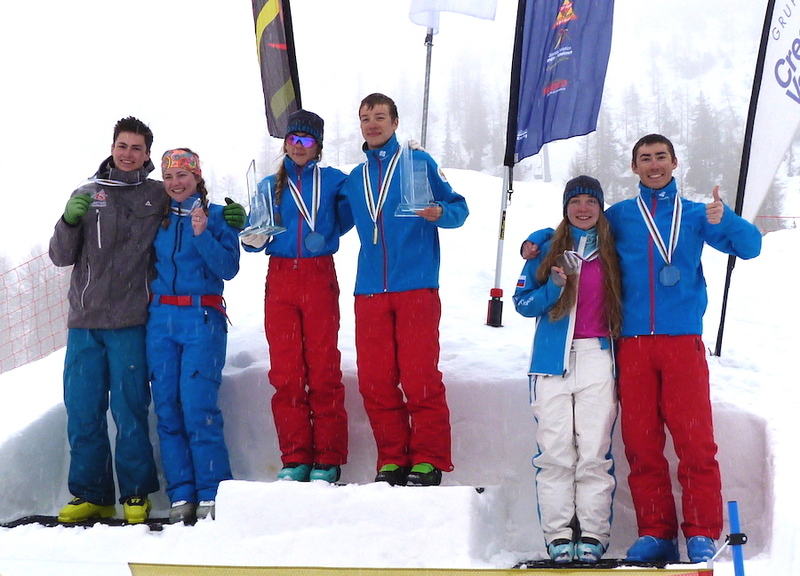 The success was a significant achievement as the field was probably the strongest ever seen in Europa Cup with World Cup athletes from USA, Switzerland, Canada, Belarus, Russia, Ukraine, Kazakhstan and Britain. There were 13 men performing triple twisting doubles and one doing triples. On Saturday Lloyd jumped well again, landing both jumps but a very slight wheely on the second jump held him down to 6th place. However that was just the result he needed to stay ahead in the rankings of the day’s winner Stanislav Nikitin RUS who received a record score of 109 for a quadruple twisting double “The Chinook”. Thus in the 2015 Overall Europa Cup aerial rankings Maxim Burov RUS was 1st with 2 wins and 2 silvers and total points of 510. Wallace has has a 9th, 8th, 6th 2nd and 1st totaling 281. Nikitin was 3rd with 267. In the ladies Elodie reliably landed all her competition jumps and was 13th and 16th, adding to her 5th, 6th, 6th and 9th over the season to place 9th. 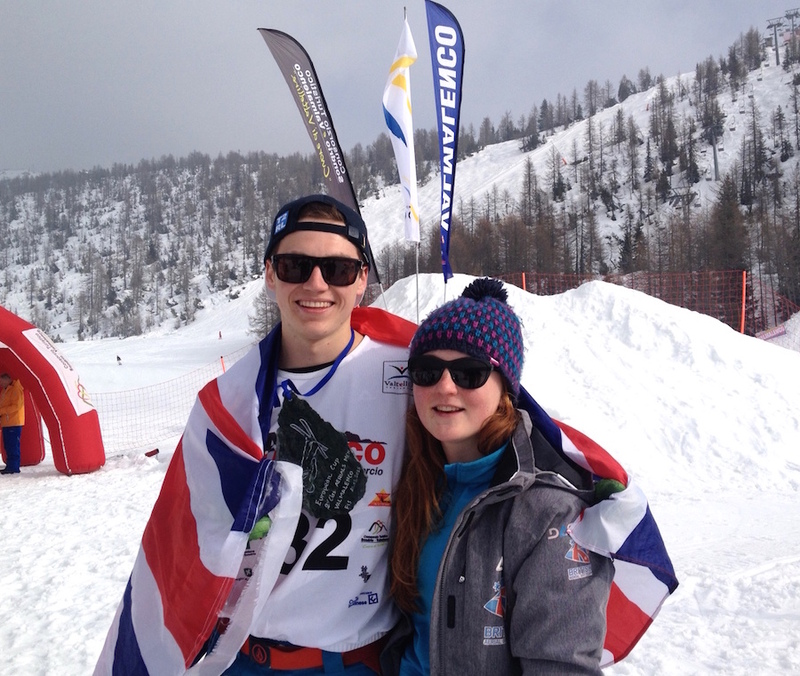 Both were delighted with their season performance, both are juniors competing at senior level and both missed 2 events due to school commitments and lack of funds.